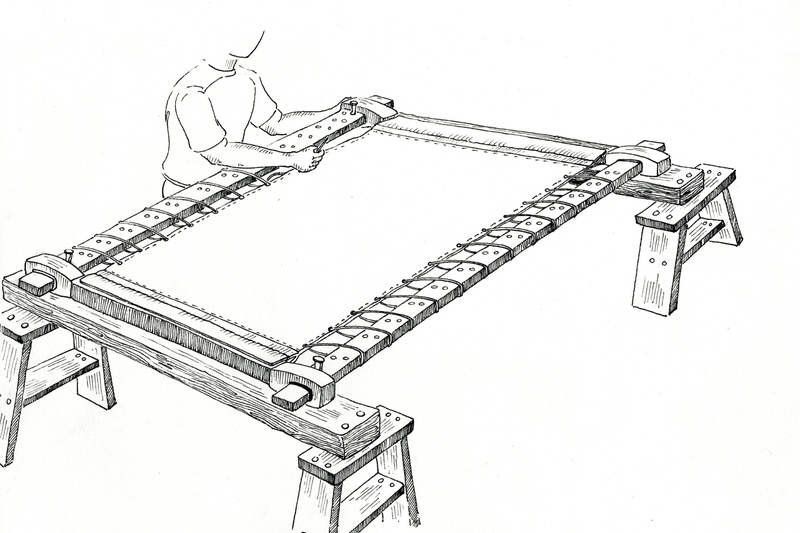 Initially the required type of fabric is stretched and tied to a frame to remove loose folds. 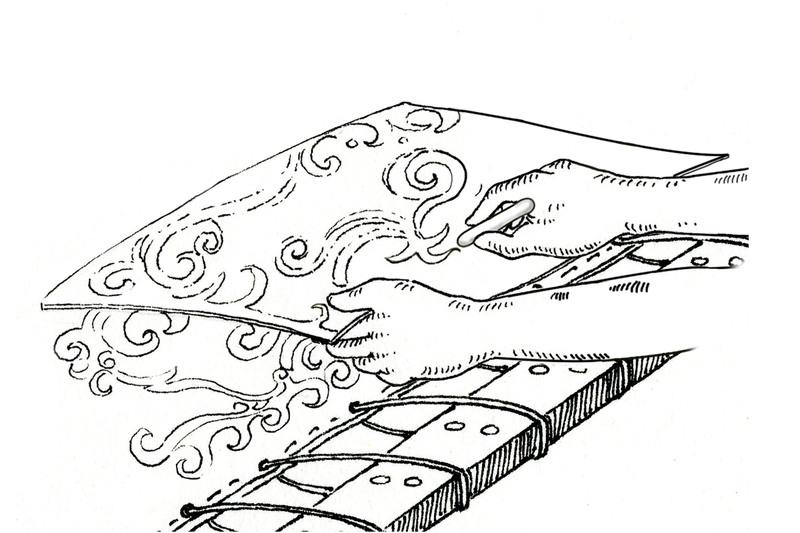 With the help of a lead pencil or chalk powder the design is traced on the fabric. 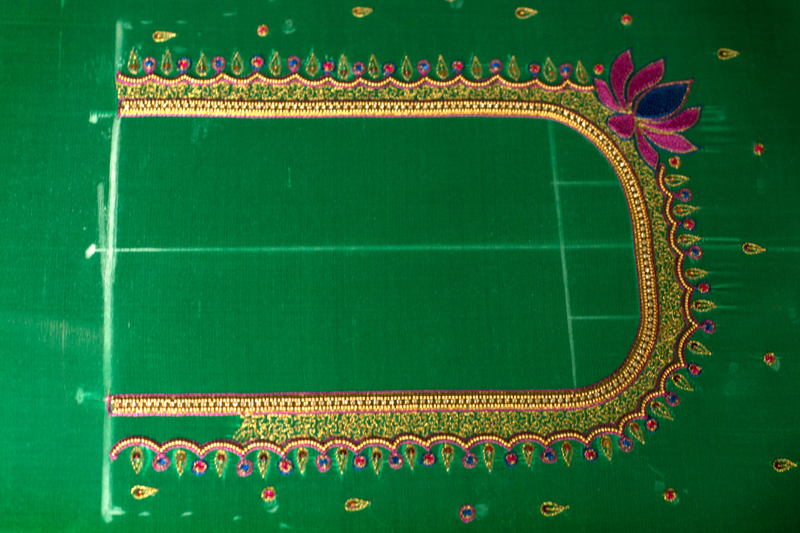 After tracing combination of color threads or golden thread is embroidered along the traced design. 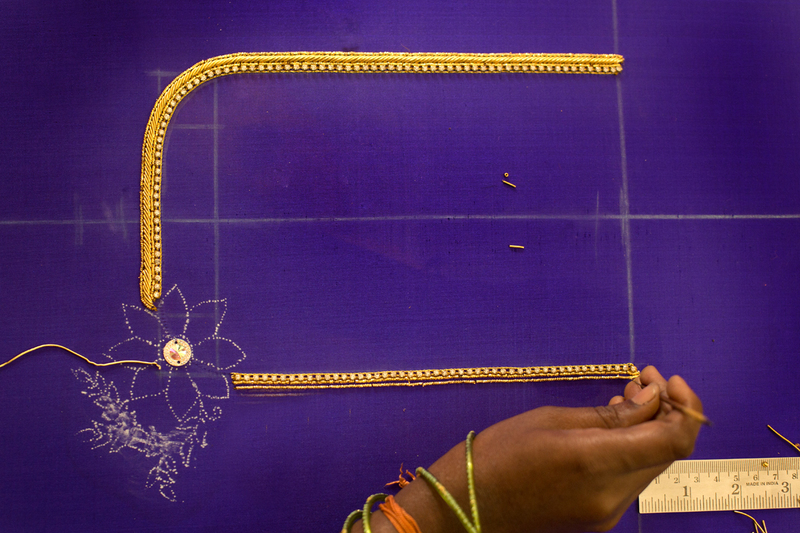 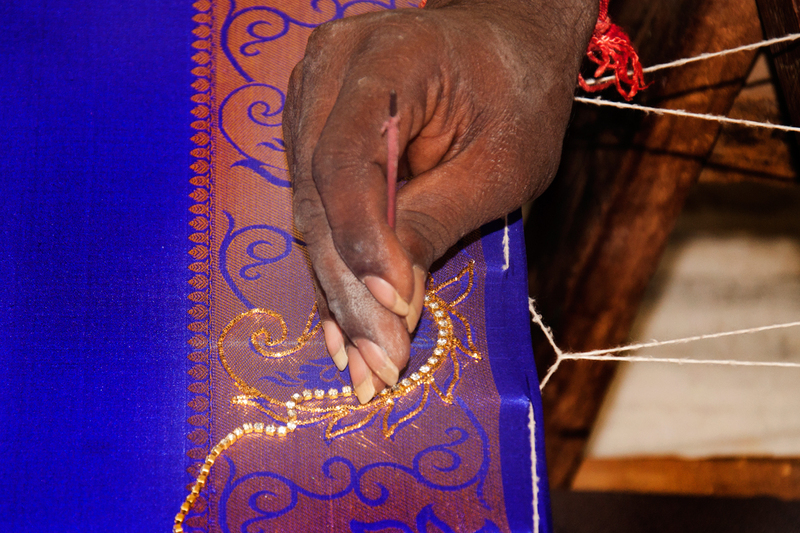 Aari needle is pushed through the fabric and thread from the reverse side is hooked in the needle and pulled out from the upper side. 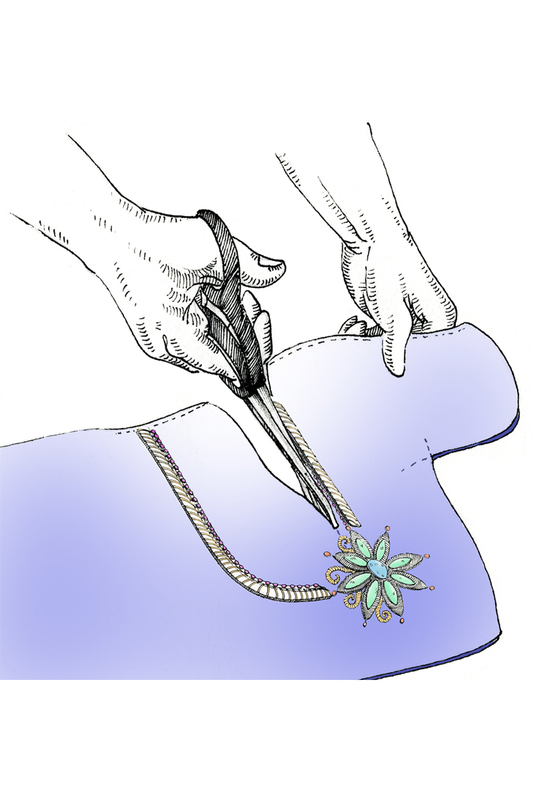 Needle is again inserted in the fabric a little distance away from the previous pierce and pulls the thread out locking the previous stitch. 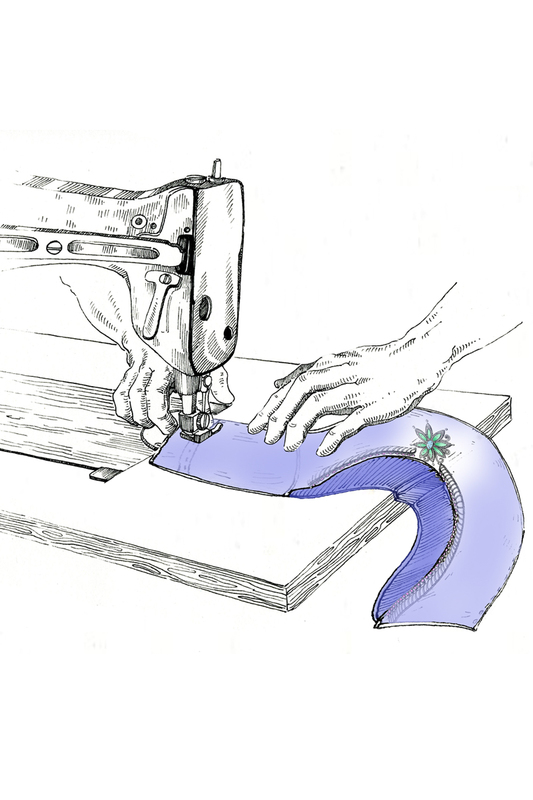 This process is continued till the required pattern is formed on the fabric. 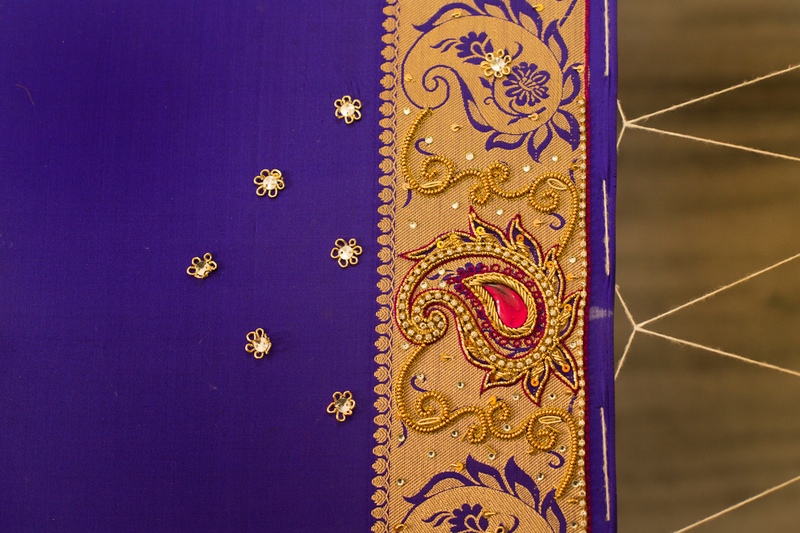 Designs are embellished with golden or silver threads known as zari and are embroidered with stones and beads which gives the fabric an elegant rich look. 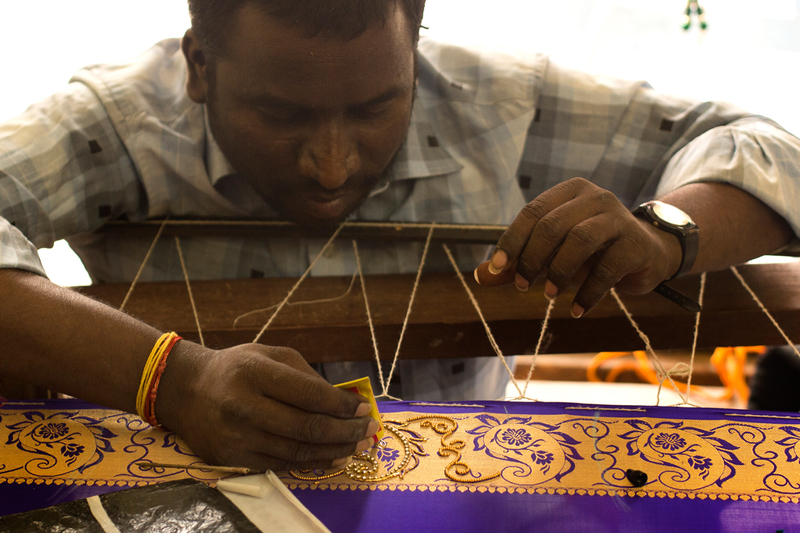 Once the design is embroidered the fabric is tied to the reverse side and fabric glue is applied on the design to strengthen the stitch so that the threads don’t get loose and come out. 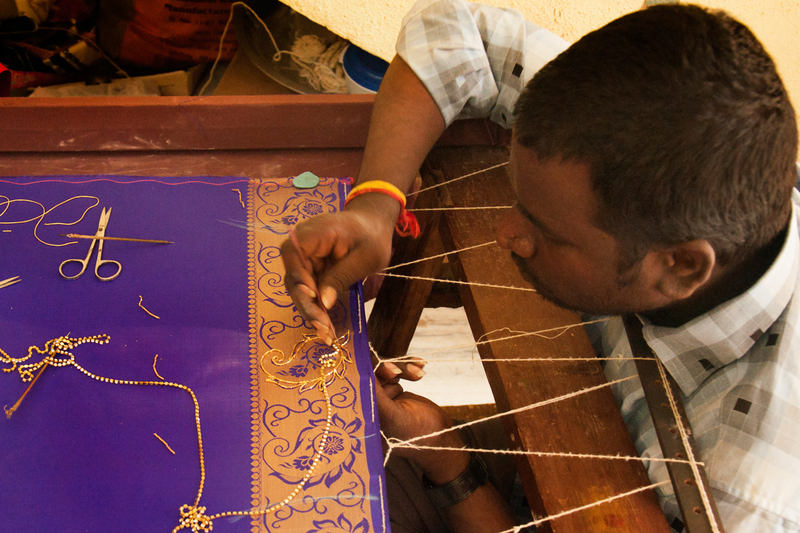 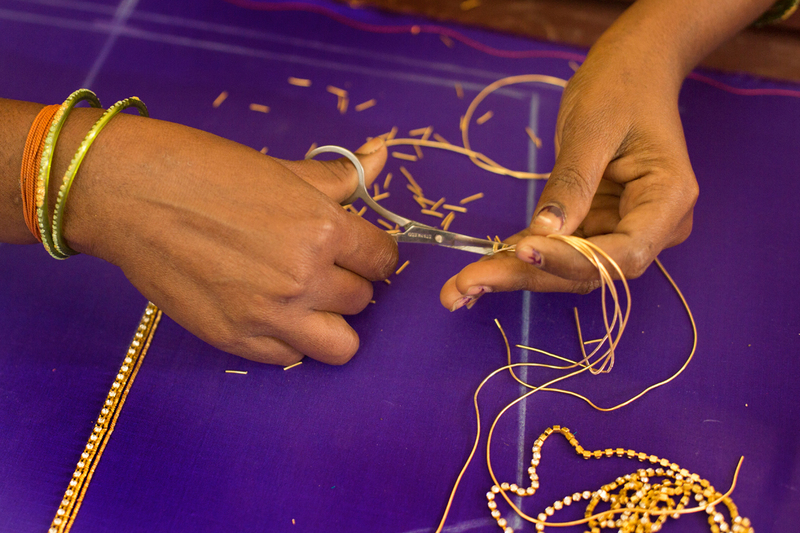 Artisans in Srikalahasthi are specialized in Kalamkari patch work. 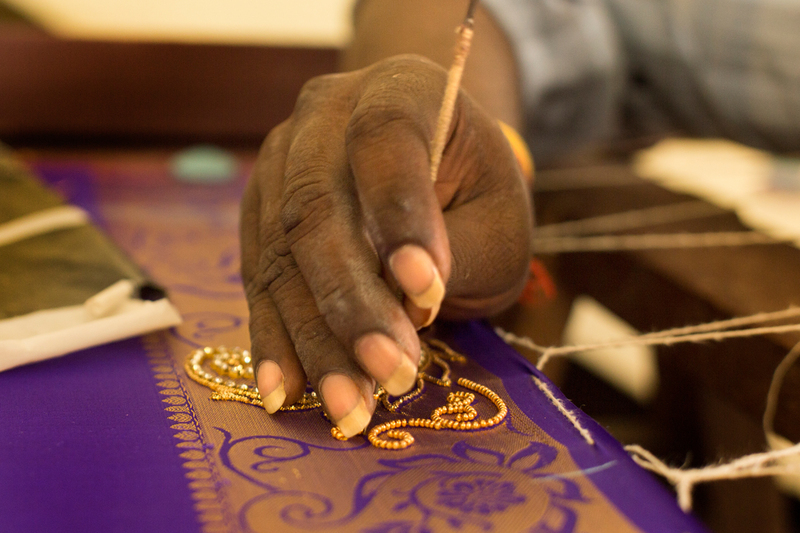 The themes of Kalamkari art is converted in applique work and the embellished with embroidery and beads work. 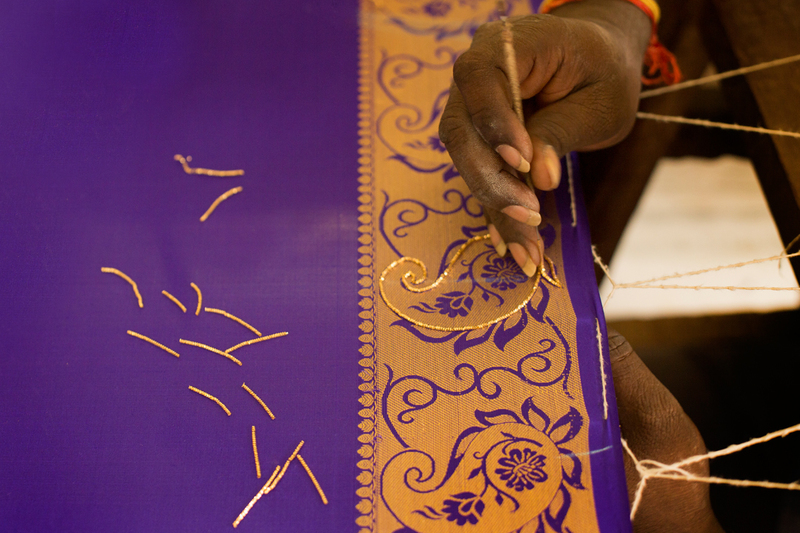 Compared to other aari designs Kalamkari work is more in demand.